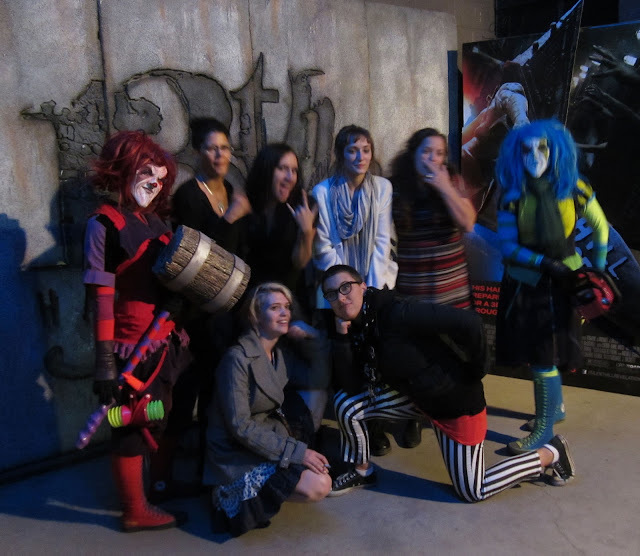 Last night I went to a haunted house with all of my new work buddies from the bakery! 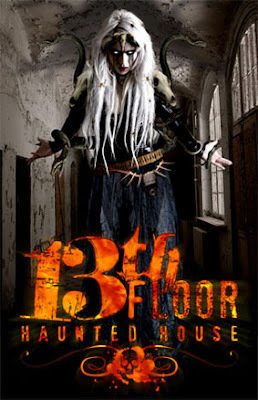 I don't usually like haunted houses, and I never really go to them. I haven't been to one since high school - I just get totally freaked out! I just don't like the gore & stuff - which is kind of ironic since I have gotten a lot more into horror movies lately. Ha. Anyhoodle, we did have a few beers (and maybe a couple of shots) beforehand which gave me some liquid courage. Everyone made me go first for the beginning part - no fair!! But it was still pretty darn fun. I realized during the second part (through the middle of everything), there is really no safe "spot" in line. Those guys jump out at you everywhere! I can't imagine having that kind of job. So crazy and creepy! They had all kinds of bodies hanging everywhere, and really narrow passageways that you kind of had to walk through single file. I was clutching both my friend in front of me, and my friend behind - it was so scary! We had a blast though, and by the end we were giggling our heads off. I doubt I'll do it again anytime soon, but it was really super fun. I think it was really just because of all the super fun people we were with! This is the pic we got at the end - I wore my Beetlejuice pants just for the occasion! But BETTER! Haha! Just wait, you'll see... I just finished it tonight, and it's gonna be awesome / hilarious. Our big Halloween party is coming up in just a few days - it's gonna be crazy! 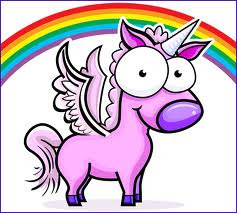 HAPPY HALLOWEEN & my Unicorn Costume! Spending Fast - 10 Months Down! Fall is here - in full force!